Anyone planning for a beach vacay this coming winter? Well, then you also have to plan your nails! 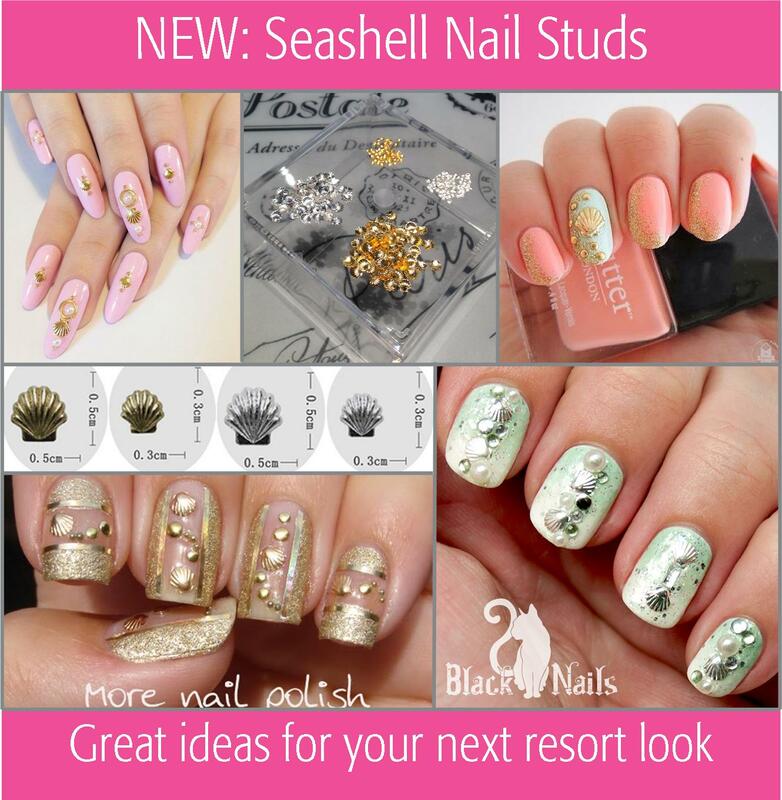 Cool seashell studs from us and great ideas from morenailpolish, blackcatnails and omoimono. Only $2.50 for a bag of 100pcs. This entry was posted in New Arrivals and tagged beach manicure, beach nails, buy nail art online, buy seashell nail studs online, buy seashell studs online, mermaid manicure, mermaid nails, seashell nail studs, seashell studs, shell metal studs, shell studs, www.phoenixbeautylounge.com by phoenixbeautylounge. Bookmark the permalink. The bottom left mani in gold….to die for!!!!!!!!!!!!!!!!!!!!! I don’t see the seashell studs on the site.